Flat Taxes Are Big in the Former USSR. Have They Worked? Herman Cain, Rick Perry and Newt Gingrich have all introduced flat-tax proposals. What other countries have implemented flat taxes, and how has it gone for them? GOP presidential candidates Herman Cain, Rick Perry and Newt Gingrich have all introduced proposals for flat taxes, which aim to tax everyone at the same rate. The idea is to simplify the tax code, getting rid of loopholes and reducing entitlements and deductions. 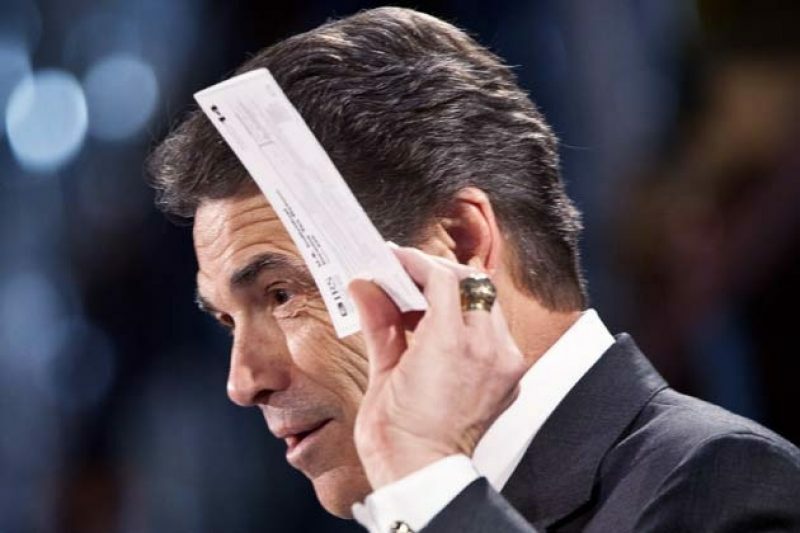 Gingrich and Perry have both promised that Americans would be able to file their taxes on a postcard. Flat income taxes have been criticized for putting a greater burden on middle-income people while cutting taxes for the rich. Critics say a flat tax would bring in less revenue for the government to fund social programs (though, as Rachel Weiner of The Washington Post puts it, “of course, for many conservatives, a drastically smaller government is a feature, not a bug"). The United States briefly tried a flat 3 percent income tax between 1861 and 1872; a flat income tax was reintroduced in 1894 but was struck down by the Supreme Court. Instead, the U.S. has had a graduated income tax since World War I. We haven’t really gotten to see how a flat tax would play out here, and it’s a good time to take a look at other countries that have adopted flat taxes, and how it worked out for them. Most of the countries that have adopted flat taxes in recent years are from the former Soviet bloc. Throughout the 1990s and early 2000s, six former Soviet republics and three other Eastern European countries flattened their income-tax rates. Some, like Russia, adopted a flat personal income tax but kept a different rate for corporate income. Others, like Estonia and Slovakia, instituted a flat tax on personal and corporate income. Many of these countries also have a value-added tax, which taxes the difference between the final cost of a product and the cost of the materials used to make it. In 2001, Russia switched from a system of 12, 20 and 30 percent tax rates to a 13 percent flat income tax. Adjusted for inflation, revenue from Russia’s personal income tax increased by 26 percent [PDF] in the year after a flat tax was implemented, and by nearly one-fifth as a percentage of GDP. Russia also saw strong GDP growth throughout the 2000s, ranging from 6 to 8 percent from 2003-07. Apparent success stories like these had American supporters of a flat tax crowing. A 2005 Wall Street Journal editorial declared that "the world is flat;" the Cato Institute, a libertarian think tank, proclaimed a "global flat tax revolution." But economists caution that you can’t necessarily translate these experiences into an American context. For one thing, those reforms came at a time of massive economic change as former Soviet republics transitioned from command economies to the free market, and Eastern European countries made other systemic changes. Estonia, which introduced a flat tax in 1994, had just started transitioning to a capitalist system three years earlier. For one thing, adopting flat taxes was also a way for politicians to mark a new era and separate themselves from the former regime. “It was a way of signaling a commitment to the free market,” said Michael Keen, an International Monetary Fund senior researcher who contributed to a 2005 study of Russia’s flat-tax reform. Flat-tax reforms also caught on because a simpler tax helped to improve collection rates in countries that had large shadow economies and entrenched corruption. Indeed, among industrialized countries, Russia still ranks among the most corrupt. For those at the top of the income spectrum — whose tax rate had dropped from 30 to 13 percent — there was less of an incentive to evade taxes. The simplified system also left less room to lie on tax forms. “The more complex the tax system, the more avenues there are for discretion both by people on the revenue side of the collection system and the people paying the taxes,” said Gary Hufbauer, also a senior fellow at the Peterson Institute for International Economics, who formerly worked on tax policy at the Treasury Department. While the 2005 IMF study found that overall tax compliance had improved in Russia — more people were reporting their incomes and paying taxes appropriately — the study also found that this didn’t account for the entire increase in revenue. “The general view among those who have looked closely at the data was that what happened to revenue was a reflection of broader developments to the Russian economy at the time,” Keen said. An overall increase in wages contributed greatly to increased tax revenue. "Our analysis suggests that the strength of [personal income tax] revenues in Russia over this period was largely driven by an increase in real wage rates unrelated to the reform," the IMF study said [PDF; see p. 40]. Though proponents of a flat income tax speculate that a lower consistent tax rate would motivate people to work harder, the 2005 IMF study also found that that wasn’t the case in Russia. “Based on what we found and what others have found since, there has been very little effect on actual work effort,” Keen said. How do the candidates’ proposals compare? Both Gingrich and Perry are proposing an optional flat income tax — Gingrich’s at 15 percent, Perry’s at 20 — that would allow you to choose between paying the flat rate or paying according to the current system. Creating a two-tiered tax system, Åslund pointed out, wouldn’t exactly simplify the tax code. Perry’s proposed income tax also isn’t totally flat, because it wouldn’t touch some types of income — for instance, investment income. It’s also worth noting that sending in tax returns on postcards, as Gingrich and Perry have pledged to make possible, could cause a new set of problems. “In tax affairs, what you want is precision in terms of defining what’s income or what the tax base is and so forth. You can’t do it on a postcard,” Hufbauer said. Leaving out the details, he cautioned, would leave room for poor administration or tax evasion. What a flat tax would do in the U.S. Experts say we probably wouldn’t see any immediate spike in personal income-tax revenue if the U.S. were to adopt a flat income tax. Instead, they say, the candidates’ plans probably would lead to plummeting revenue for the first several years. Analyses from the nonpartisan Tax Policy Center project that Cain and Perry’s plans would both lead to decreased revenue; the center hasn’t yet scrutinized Gingrich’s plan. Of the other two, Perry’s plan would have a greater impact on government coffers, cutting projected revenue by about 27 percent by 2015. The Tax Policy Center also concluded that Perry and Cain's plans would mean an increased tax burden on middle- and low-income families. Cain has since modified his plan so those below the poverty line would be exempt from the individual tax. A Tax Policy Center researcher told The Washington Post that poor families would still see a tax increase under the plan, albeit a smaller one.